I am completely enamoured with the Bonavista Peninsula. 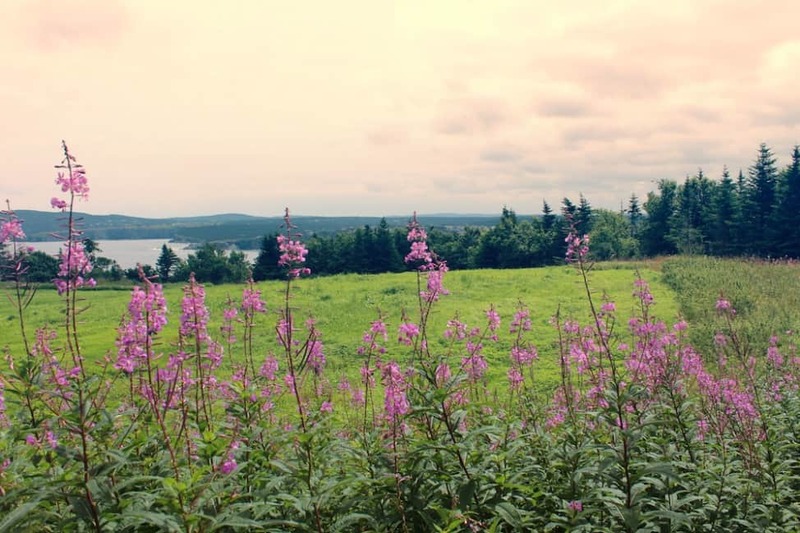 The whole area encompasses the best parts of rural Newfoundland, but in a “hip” setting that appeals to the sensibilities of even the biggest city slicker. Also, hipsters. 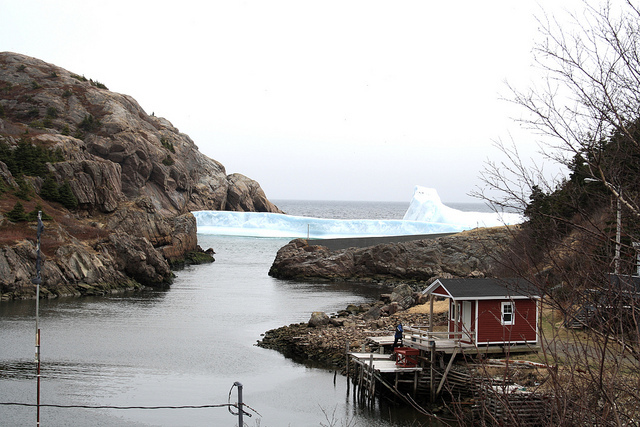 The Bonavista Peninsula includes all the towns in the Trinity Bight, including Trinity. (Yes, Newfoundland’s habit of nesting names within names with bays within peninsulas within planetary systems is beyond frustrating sometimes, so please don’t send me angry corrective emails.) It also includes Bonavista and Elliston. If you’ve got just a few days to explore the area, you can do a lot. 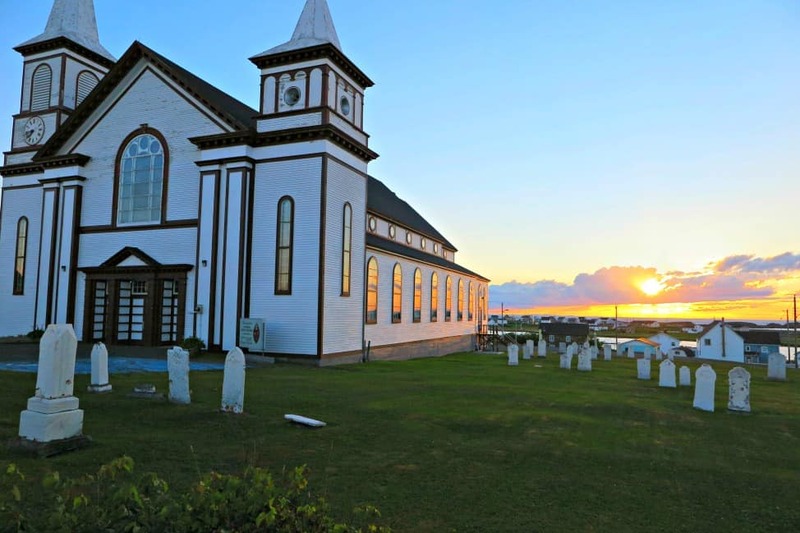 Trinity is a heritage town on Trinity Bay, established in the 16th century by fishermen and merchants. Most of the buildings here are registered historical buildings, with bright and bold exteriors to complement the rugged landscape. You might recognize some of these places from scenes in The Shipping News. Trinity is a quiet town. A lot of older travellers come through here, but it’s a stunning, peaceful place, and just meandering through the streets on foot is enough to keep you busy for a few hours. On my last visit, I bought ice cream and sat at a picnic table on Dandy Lane, just people-watching. 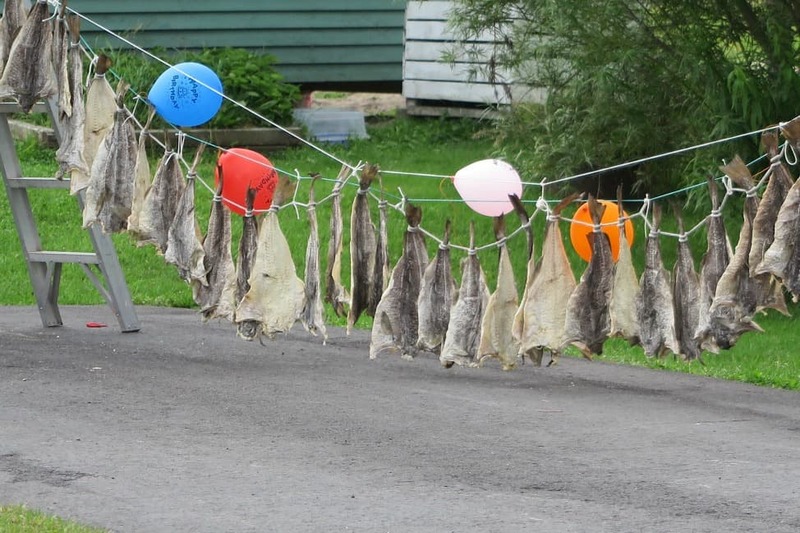 There were salted fish hung out to dry on a nearby clothesline, and fiddle music came poring over the hill somewhere. Despite the amount of tourism this town receives, it’s easy to find those snatches of solitude. For a better introduction, hop on a Trinity Historical Walking Tour. On my last trip, I met a man who said this walking tour was the highlight of his entire trip. Tickets are $15 (but I believe there’s a free walking tour around as well). Check out what’s on at the Rising Tide Theatre. Every summer, young actors and actresses flock here to put off some amazing shows. There’s something going on just about every evening. If you have the means to get away from Trinity, hop on a Rugged Beauty Boat Tour. You’ll learn about Newfoundland resettlement, and you’ll visit an abandoned town for a mug up and an Ugly Stick session with the skipper. Do your gift shopping at the Elizabeth Burry Studios. Visit the historical Green Family Forge. Buy chocolate at Aunt Sarah’s Chocolate Shop. Lunch at The Mercantile. I can’t say enough good things about this place – their pea soup is the best (don’t tell my mom), and I paired it with a honey-glazed ham sandwich. The coffee is from the Trinity Coffee Company. Stay at the Artian Inn. This place is also owned by my friend Marieke and her family, and the accommodations are seriously gorgeous. The Skerwink Trail begins in Trinity East, about a 15-minute drive from Trinity. 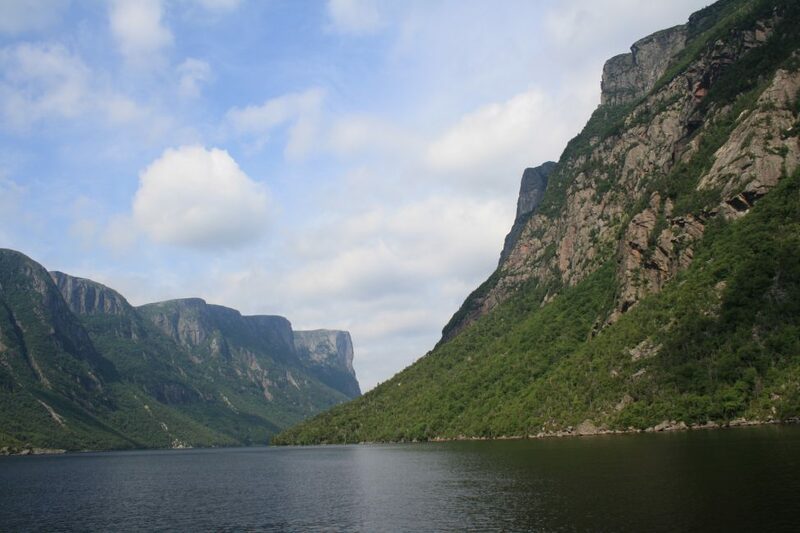 It’s considered one of the most scenic trails in Eastern Canada, and I’m inclined to agree. Sea stacks, coastal paths, a trek through evergreen forest, and a grand finale on a rocky beach overlooking the lighthouse in Trinity…you’ll want to bring your camera for this. Pack a picnic and hang out a little while on the trail. The route is medium difficulty, meaning there ARE quite a few stairs to climb, but you’ll be fine if you take your time. The whole thing takes about two hours. There’s nowhere to eat in Trinity East. There’s a fantastic hostel, the Skerwink HI Trinity, where I had a little staycation and met a bunch of really cool people. It was fun being part of the backpacker scene as a Newfoundlander, and talking to visitors to the province. Just note, it’s hard to stay here without a rental car. I had to walk into Port Rexton to find food. The hostel volunteers offered me a pre-made hitchhiking side, assuring me I’d get into town no problem, but I haven’t yet tried that whole hitchhiking thing. So if you want food, pop over to the Two Whales in Port Rexton and grab a vegetarian panini. Their salted caramel brownie is also to die for. My new favourite thing about this area, though: Port Rexton Brewing, a brewery recently opened in July by two young women. It’s within a 20-minute walk from the hostel. 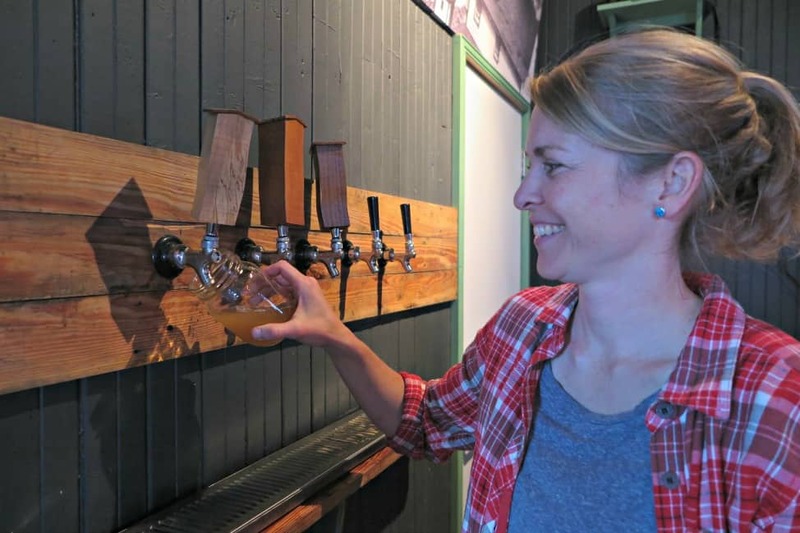 There was something surreal about stepping into an old schoolhouse-turned-brewery in rural Newfoundland, with slow trance music ebbing from the speakers, and young people sitting around long tables drinking delicious craft beer from jars. Hipster esque? Totally. Amazing? Absolutely. The beer is fantastic – the porter was one of the best I’ve ever had. Every Thursday night there’s a trivia, too. I walked home under the brightest canopy of stars I’ve ever seen in my life. I didn’t even need a flashlight to light my way through the trail. Elliston is ultra quiet. 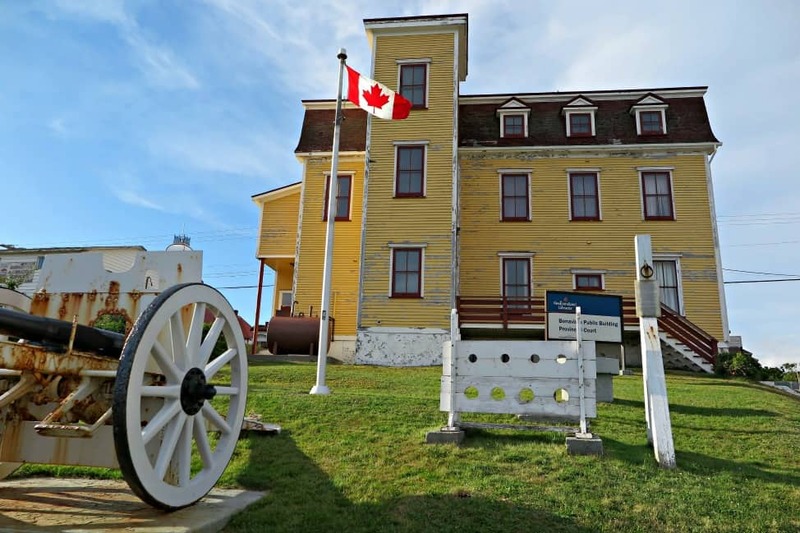 There are a handful of highlights here, including the sealer’s memorial and the Home From the Sea exhibit dedicated to those who died during the seal hunt. Beyond that, there’s an incredible puffin colony not far from the memorial. You can walk right out to the site, and the puffins are used to people’s presence – unlike the other bird islands, where you can’t get close to them at all. There are some amazing photo opportunities out here. To eat: go to Nanny’s Root Cellar Kitchen for a traditional Jigg’s Dinner. Their chutney ketchup is SO GOOD. And you can buy bottles of it. If you’re staying here, I highly recommend the Bird Island B&B. Charlotte and her husband will cook you the best damned chocolate chip pancakes you’ve ever had. Bonavista is the capital of the area. It’s undergoing some massive changes as new businesses open to take advantage of booming tourism. There’s a lot to do here. 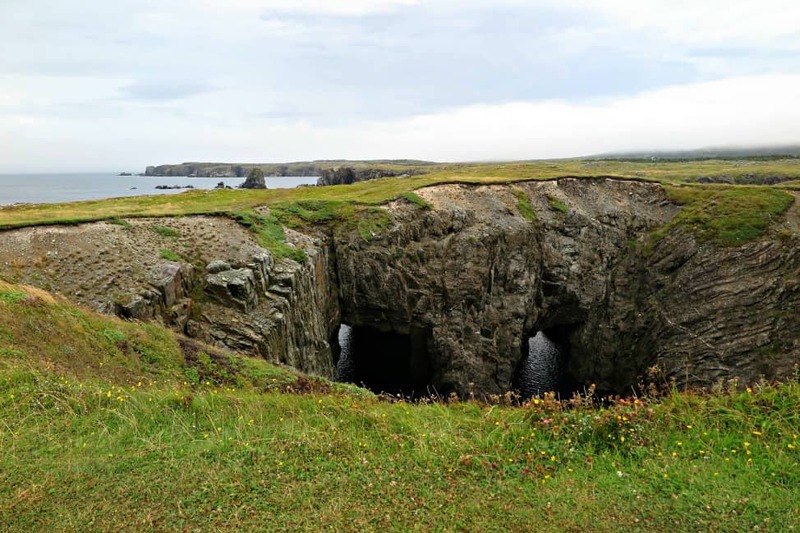 Go to Dungeon Provincial Park to see where the earth breaks open into a giant crater and the ocean rushes through with noisy ferocity. 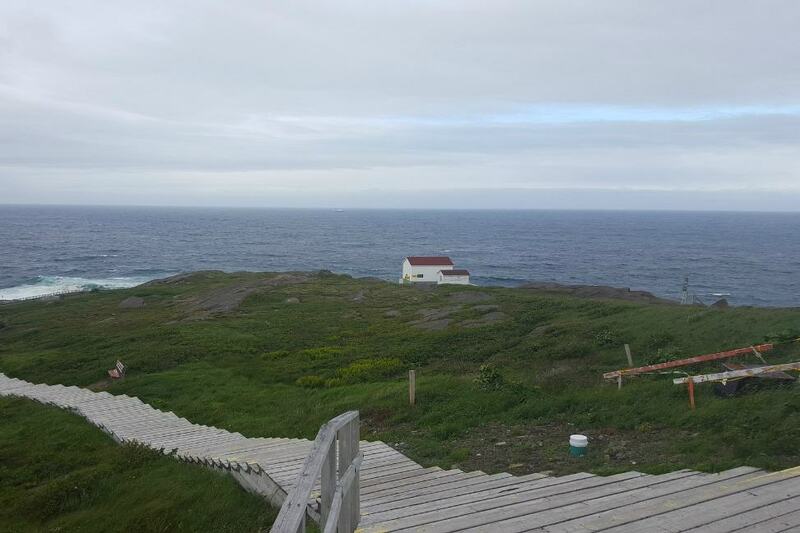 Nearby is the Cape Bonavista Lighthouse – a popular whale watching spot. Like Trinity, there are a ton of historical sites around here. You can visit the Ryan Premises National Historic Site, or the Mockbeggar Plantation. With limited time, though, I’d just hike the Cape Shore Trail. It’s easy, and stunning. Stroll Church Street and visit the shops there. East Coast Glow is one of the newest, specializing in natural soaps and beauty products. Then there’s homemade ice cream at Sweet Rock. One of my favourite things about Bonavista is the awesome dining scene. The newly opened Boreal Diner was my place of choice on my last visit, and not just for the Broken Books bookshop in the upstairs section. 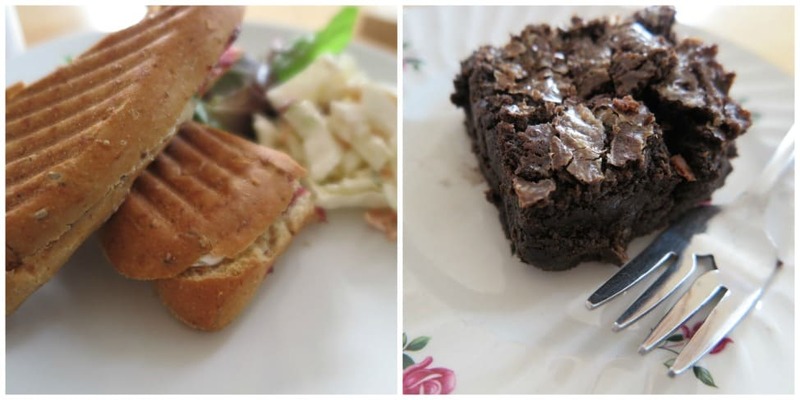 Mifflin’s Tea Room has awesome desserts, and if you can head out to Upper Amherst Cove, the Bonavista Social Club is THE place to go for dinner. Wood-fired pizza with fresh ingredients from the garden – you can’t go wrong. I grabbed an ice cream from Sweet Rock and headed back along Church Street toward my hostel. I walked the boardwalk in front of Skipper’s Café just as the sun was setting. So I stole a chair in front of the sea, sat down in front of the fiery horizon, and conjured up my Italian-acquired skills of dolce far niente – the art of doing sweet nothing. To stay: The Jubilee House or Hampton House. For more travel planning guides in Newfoundland, check out my book, launching soon! I have heard about Trinity from my friend before and I guess it’s beautiful. Thanks for sharing, you just prove how worth to spend time with this place. You’re very welcome, I hope you get to visit sometime! I loved Trinity! And Newfoundland in general. The most beautiful province in the nation — that’s for sure. Loved this area when we visited Newfoundland last summer. Spent a few days exploring. Agree with all the above. A few additional items were visiting where Random Passage was filmed, just a short drive from Trinty. Another was a concert in Twiilengate with the Split peas that was fantastic Newfoundland entertainment. Had my first tautons there. Also the lighthouse. Great hiking area. Yes, that’s a wonderful spot! And the pub set where The Grand Seduction was filmed. Looking forward to your book, Candice! 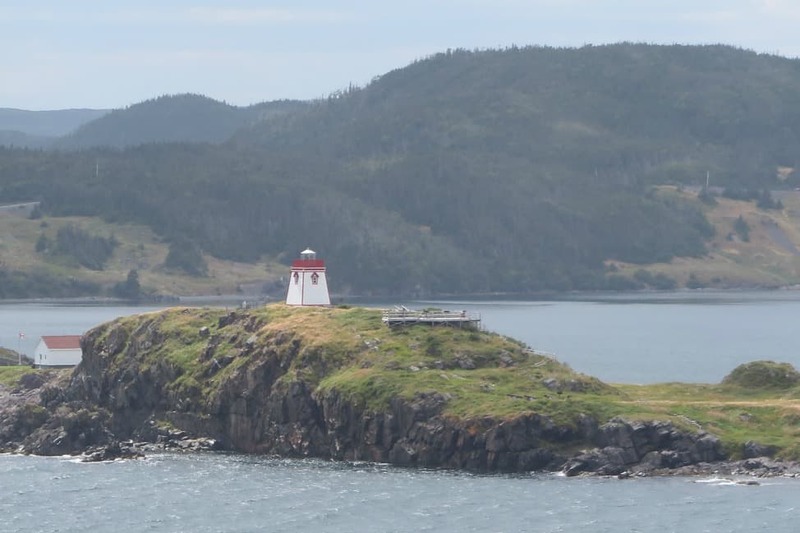 I truly love Newfoundland, and you’ve touched all the right buttons with this post. The beautiful scenery, Porter beer, and a salted caramel brownie! What’s not to like? Thanks so much, Doreen! I’ve been so wrapped up in Festival stuff, I haven’t had a chance to finish it yet. And I’m so happy you enjoyed this part of NL! It’s amazing. Wow! You sure did capture it all! if I didn’t already live & have my little business here … you make me want too! Thanks for such a great story! I love Aunt Sarah’s Chocolate Shop. And theDungeon Provincial Park is fantastic to see as well! When we were there the horses were out too.